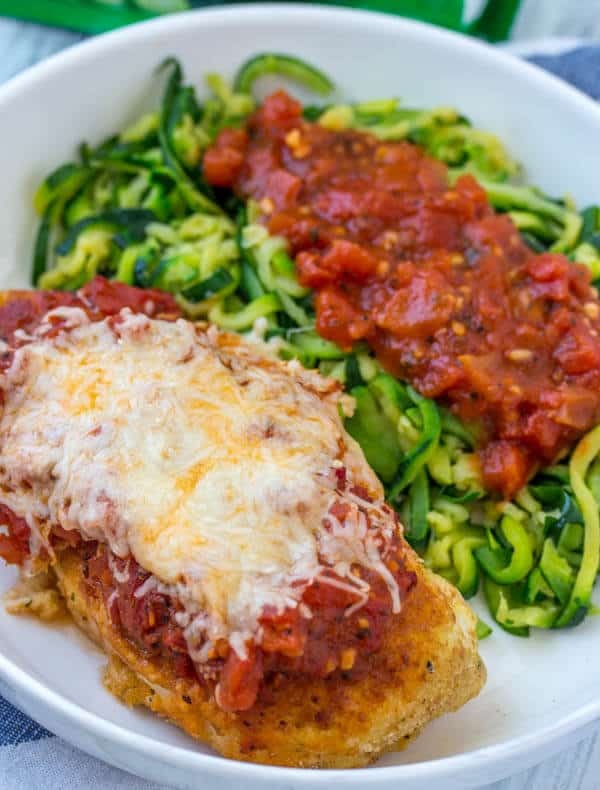 This Easy Baked Chicken Parmesan with Zucchini Noodles is a delicious filling and healthy dinner that the whole family can and will enjoy! We are huge chicken eaters around this house. If I had to choose one thing that I would eat over and over again it would be any and all things chicken. We love this Easy Baked Chicken Parmesan, what makes it even better is swapping out the normal noodles for these Green Giant® Veggie Spirals….